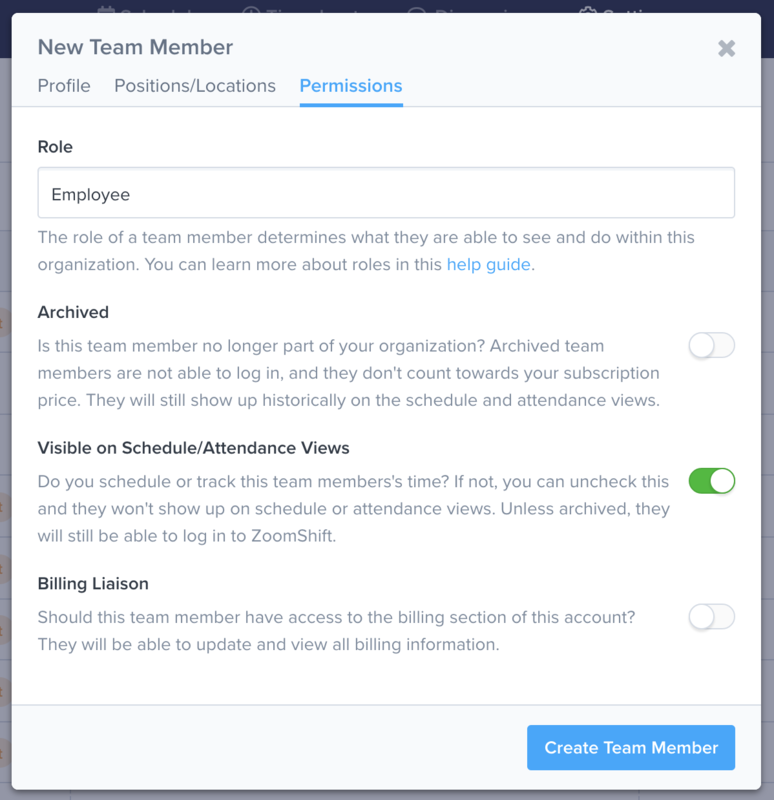 This guide explains everything you need to know to manage team members in ZoomShift. Each team member can create an account and join your organization. Once active, team members can login to view their schedule, request time off, edit availability preferences, and request shift covers. Need help inviting team members? Read this guide. To add a new team member, go to the Settings => Team Member page and click on the New Team Member button. You should see a pop-up like the one below. This pop-up has multiple tabs which are also covered below. You can update your team member's basic information (name, phone, email, etc.) from the profile tab. Hourly Wage This is the default hourly wage for this team member. This value is used when creating shifts and timesheets and updating totals. Weekly Desired Hours This is the number of hours the team member would like to work. Team members can adjust this value to monitor schedule vs. desired hours. Time Clock PIN This field can be used by team members to clock in/out. It must be a unique alpha-numeric value. Note: Once an account is activated by a team member, the manager no longer can update the team member's email, phone, and name. You can assign team members to positions and locations from the Positions/Locations tab. Assigning team members to positions and locations will help to organize your schedule. Learn about position and location assignments, here. You can update role, archive, hide, and billing permissions, from the Permissions tab. 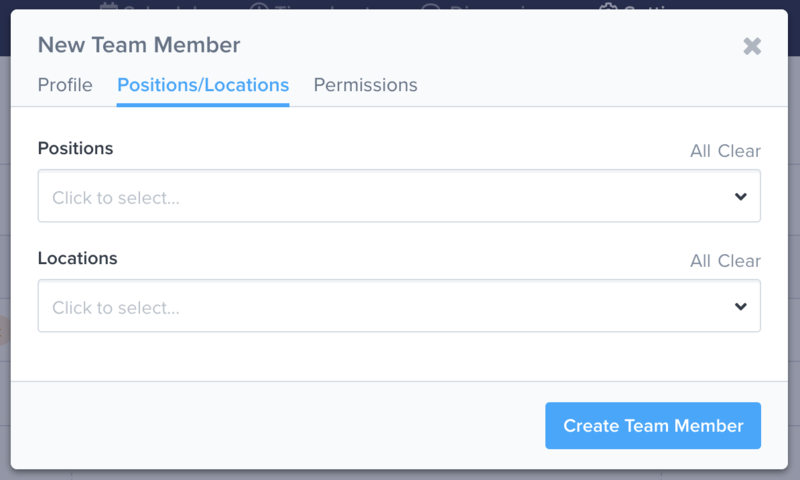 Learn about roles and permissions, here. Archived Archived team members are not able to login, and they don't count towards your subscription price. You can unarchive them anytime. Visible on Schedule/Attendance Views Sometimes you have users that you want to have access to ZoomShift even though they are not part of the schedule. This might be the case for business owners or accountants. Billing Liaison Give users access to the billing section of your account. To edit the team member, click on the row, update the fields, and submit the form. To delete a team member, click on the row, and click on the Delete button. 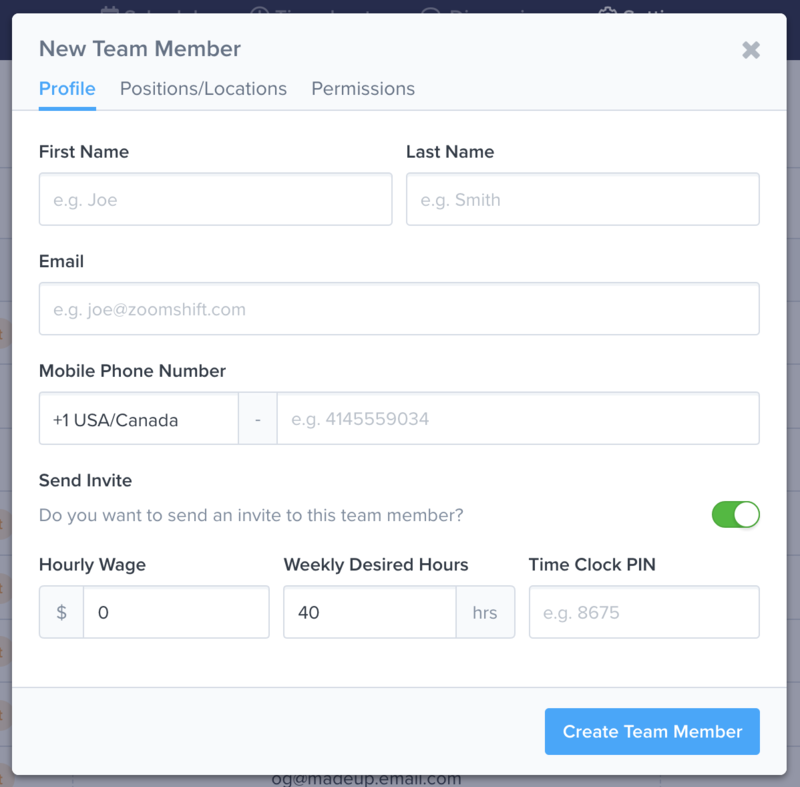 By default, team members are displayed in the order that they are added to ZoomShift. You can reorder team members alphabetically or use a custom order. This order will be carried throughout the organization on all schedule and attendance views. To reorder team members, click on the Tools drop-down. Then click on the Order Settings option. 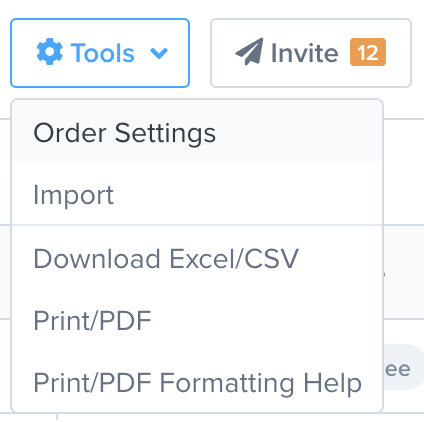 Select how you would like your team members to be ordered and click on the Save Team Member Order Settings button. If you selected Custom Order, you can drag and drop the team members in the order you would like. Click and hold down on the mouse to select a team member and drag them into place.